Several projects are expected to be discussed for Grand Bahama, in terms of economic growth and expansion, during the Cabinet meeting on island today, said Prime Minister the Most Hon. Dr. Hubert Minnis. The Cabinet, led by the Prime Minister, arrived in Freeport on Monday for the information meeting to announce Carnival’s plans for a mega port in East Grand Bahama. The Grand Port is expected to be completed in late 2021, and during the construction phase will employ some 1,000 people. 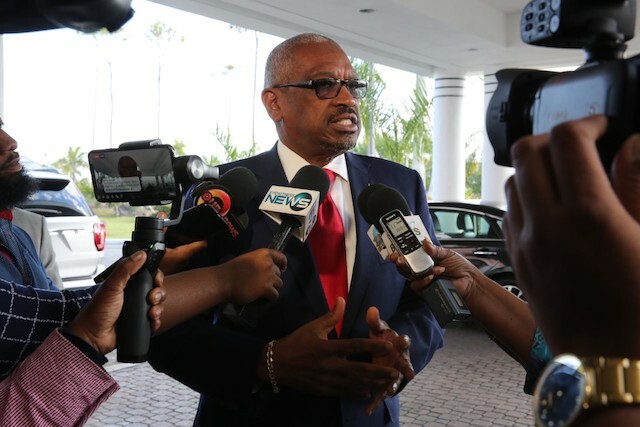 The Prime Minister said during the Cabinet meeting, they will discuss a number of investors who want to invest in Grand Bahama. The members of Cabinet are expected to return to New Providence this evening.